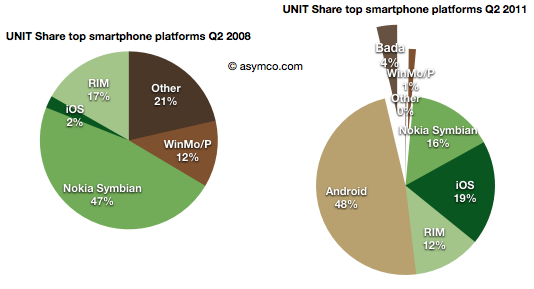 The violence with which new platforms have displaced incumbent mobile vendor fortunes continues to surprise. The surprising thing is that it should not be surprising. When the iPhone re-defined the basis of competition (at the beginning of the time frame of these charts) it unleashed forces which are still spinning the industry into a new configuration. In that context, Android is a natural consequence. As iPhone created a threat, the response from all other vendors (other than Nokia and RIM) was to seek something that would sustain their business. Android was salvation. It enabled the pursuit of better margins and hence better returns. So much so that Android offers the escape up-market they have always sought. It enables vendors to abandon the profit-free feature phones to low-end entrants like ZTE and Huawei. 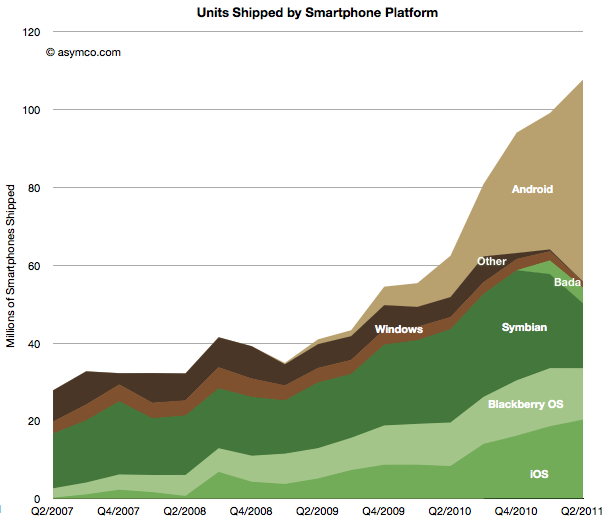 LG, Samsung, Motorola and Sony Ericsson all took the bait. They are racing as quickly as possible to turn their feature phone portfolios into Android portfolios. This is certainly something that Google also wants to see happen and has been planning all along. However one of the consequences of the modular (aka “open”) approach is that the low end disruptors gobbling up low-end share are also motivated to move into the Android business as soon as it comes within reach. The only reliably predictable consequence of Android will be the postponement of displacement of the existing brands by the low-end entrants. 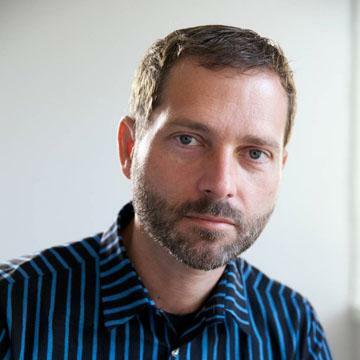 Is this fate unavoidable for all brands? Clearly some vendors see the trap. For all its apparent failings, Nokia saw this outcome and chose to attempt a “Hail Mary Pass” with Microsoft. The strategic point being that because they no longer had faith in their ability to execute on an independent platform, they would pick a platform that gave them at least some control or leverage. There are serious risks and problems with this approach–something which has been covered here already–but the bet being made is a clear rejection of the slippery Android slope. RIM is trying to resist with QNX which is a similar approach but timing may also be the undoing of this strategy. 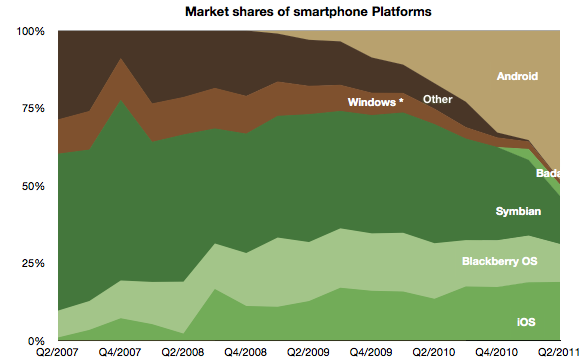 HP’s approach with WebOS and Samsung’s Bada are also hedges to avoid this fate. Apple is always skating in a different direction. iOS needs to be seen as not so much a phone platform but a computing platform. Given what we know, iOS was always conceived as the future of computing. Voice, after all, is just an app on iOS. So my expectation is that Apple’s iOS will continue its attack on the mobile computing market, skimming (or carving as the case may be) profits from the phone business to sustain its ultimate target of reclaiming the computing universe. By this thinking iOS lives only by improving more rapidly than anything else in dimensions that redefine the basis of performance. In other words, doing more of what the iPhone did in the first place to set off this disruption.